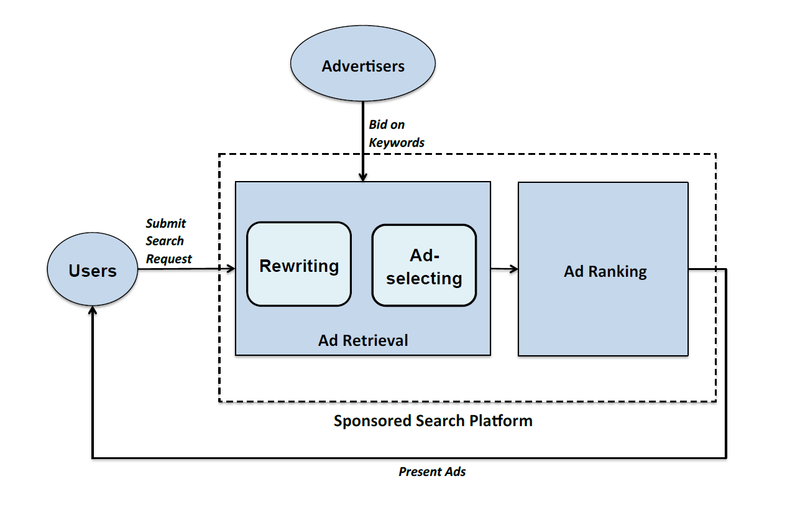 This article is part of the Academic Alibaba series and is taken from the paper entitled “Beyond Keywords and Relevance: A Personalized Ad Retrieval Framework in E-commerce Sponsored Search” by Su Yan, Wei Lin, Tianshu Wu, Daorui Xiao, Xu Zheng, Bo Wu, and Kaipeng Liu, first published in 2018. The full paper can be read here. 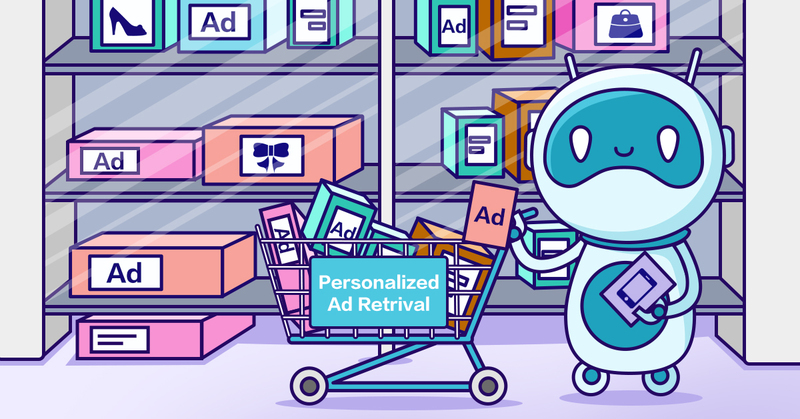 The Alibaba tech team has proposed a new personalized ad retrieval framework to eliminate some of the drawbacks of traditional sponsored search platforms. With traditional sponsored search platforms, advertisers bid for keywords that are likely to generate traffic through their advertisements. When a user makes a search query, the search engine’s ad retrieval module rewrites the query into biddable keywords. These keywords are used as ranking signals and retrieval keys by the search engine’s ad-selecting module to determine the hierarchy of ads that are displayed to the user. Ads that are linked to biddable keywords are more likely to be displayed. There are several issues that limit the benefits of this platform for search providers, advertisers, and users. Firstly, traditional sponsored search only displays ads that are connected to biddable keywords. If an advertiser lacks the proper market research or financing to make accurate and timely bids, this can result in their ads not being displayed. Secondly, most ad retrieval methods focus on computing the relevance of ads to the search query. This approach does not boost revenue per mille impressions (RPM) or click-through rate (CTR) – the metrics most commonly used to measure sponsored search performance – and leads to suboptimal retrieval results. To counter this, E-commerce sponsored search platforms have implemented personalized information, such as user profiles and tracking long and real-time clicks. However, this information creates a wider variety of ranking signals that make ads difficult to retrieve in a uniform way. Alibaba’s tech team has proposed a solution to these issues that blends the rewriting and ad selection processes into one streamlined framework. This framework uses historical click data for advertisements to create a hierarchical network of personalized ad retrieval information. Each node of the network is tagged as a ranking signal, retrieval key, or ad. The edges between signals and keys indicate rewriting, while the edges between retrieval keys and ads indicate ad-retrieval. We then train a model based on the hierarchical network to weigh the edges and fine tune the network. This combines the rewriting and ad retrieval modules into a single process that can handle all the ranking signals from a query simultaneously. Additionally, the framework selects the best edges based on model scores, which boosts the RPM and CTR. Retrieved ads do not contain keyword bidding information. Instead, a bid optimization strategy called Optimized Cost Per Click (OCPC) is used to determine how much advertisers will be charged when their ads are clicked. OCPC is determined by factoring the conversion rate (CVR), item price, and taking rate, which provides a more accurate representation of the value the advertiser receives from their traffic. This framework introduces several benefits. First, OCPC negates the need for keyword bidding. Ads are matched to user search queries more accurately as a result, due to ranking signals being unobstructed by bidding requirements. Second, combining rewriting and ad selection streamlines ad retrieval and boosts RPM and CTR. Finally, the implementation of personalized information within the framework gives search providers a more accurate understanding of user behavior and measures the quality of retrieved ads based on their ranking signals more accurately. Experimental trials of the proposed model LR-ID-63 against 1% traffic on Alibaba’s E-commerce platform have already yielded promising results. Improved CTR and present rate (PR) indicate that ads are being matched with search requests more accurately, which gives advertisers a clearer understanding of user behavior. Improved RPM indicates the revenue-generating potential of this model. Overall, these results demonstrate that advertisers, search providers, and users will all benefit from Alibaba’s personalized ad retrieval framework.